Do you know the meaning of Hari Om Meditation? The Hari Om mantra means something very specific. In this tutorial I’ll show you what it means and how to do it. So what does Hari Om mean? And why should you meditate on the Hari Om mantra? In my huge guide to mantras I explained how different mantras mean different things. The mantra “Hari Om” means to “remove”. But it gets a lot deeper than that, as I’ll explain in a moment. Hari Om means to “remove” (I’ve explained more on this below). It’s about removing negatives so you can get your energy flowing and balance your chakras. Makes you more creative and more productive. 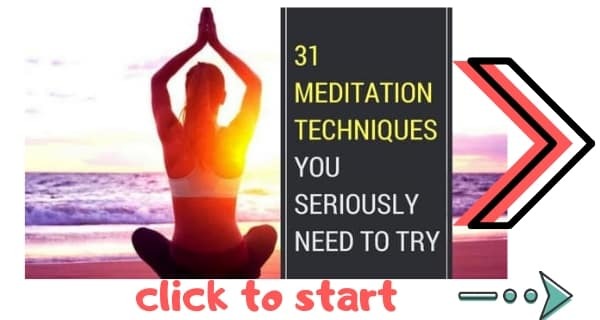 My guide to 31 meditation techniques reveals many ways to activate and balance chakras. Hari Om meditation is an alternative way of activating the chakras. In a moment, I’ll show you how to do Hari Om meditation and what Hari Om means. But first, let’s look at how Hari Om meditation helps prana to get flowing through your body. Our spiritual being operates through prana, the life fore. Prana runs throughout our nadis (the energy channels in our body). The body contains thousands of nadis and seven chakras. It is through these nadis and chakras that our energy is channeled. But sometimes that energy does not flow correctly. And sometimes the chakras get blocked. When we clear the chakras we improve our psychical, spiritual and psychological health. And one way in which we can do so is by practicing Hari Om meditaiton, which is a Hindu and yoga meditation in which we meditate on the mantra Hari Om. One of the main benefits of Hari Om meditation is that is stops depression. My guide to Healing Depression with Meditation reveals how meditation can cure this terrible mental health condition (it saved me myself from depression, as I’ve written about in that link). As a meditation teacher I have taught Hari Om meditation to many different people, all of whom it has helped to live positive lives. The power of Hari Om meditation was particularly important for one meditation student, Sarah. A couple of years ago Sarah was suffering from depression and needed some spiritual healing. Sarah was also suffering from fatigue caused by insomnia. She found it very difficult to find motivation. This was a real shame as Sarah is a very bright and loving woman. 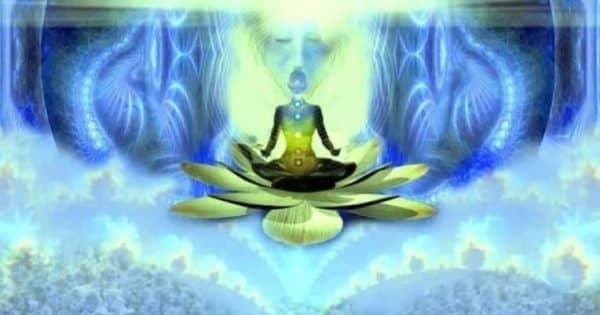 Sarah and I went through many different meditation techniques together, but it was Hari Om meditation that really changed things for her. The reason why Hari Om meditation worked so well for Sarah can be explained through the very words “Hari Om,” meaning “removal”. It is these two words (the Hari Om mantra) that make Hari Om one of the best spiritual healing techniques. Hari means to remove, as in to remove suffering. “Om” is the universal vibration which connects us to the infinity of divine creation. If you have other problems the meaning of Hari Om will be removing whatever obstacle it is. I previously mentioned my student Sarah. Sarah practiced Hari Om meditation for twenty minutes a day for one month. Over the course of that month I saw many changes in Sarah. The changes began with minor things: getting out of bed earlier, sleeping better, eating healthily. Then Sarah found more energy, she began to work, getting a regular job (she has since been promoted to a high position in an international company—go Sarah!). For Sarah, the meaning of Hari Om truly came to life for her. So, Hari Om means “removal”. Great. But how do you do Hari Om meditation? Find somewhere comfortable in a meditation room, perhaps with a meditation pillow if you find these useful. You may wish to use a mantra to count your chants. As with most meditation techniques, sit comfortably, close your eyes and focus your mind on your breathing. Do so for five minutes in order to relax and find focus. As you breathe out begin to use the chant “Hari Om” (which is pronounced “Hari Aum”). Remember the meaning of Hari Om. You are removing negatives. Focus on the sound of the words and feel the energy of the mantra in your body. You can adapt this meditation to incorporate the chakras if you wish. 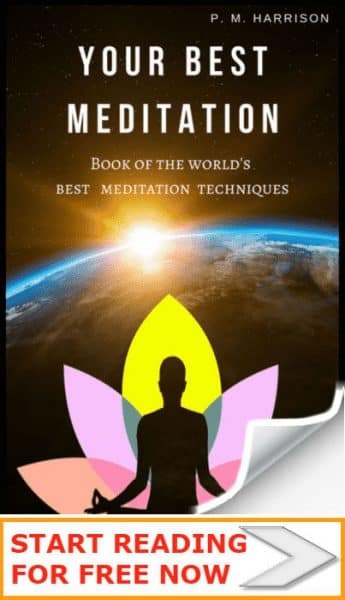 Regular practice of Hari Om meditation once a day will help you overcome any suffering and to reconnect. It will also develop energy in your body. When you use this mantra you can truly feel what Hari Om means and how it helps us.